When: January 23rd, 2013, doors at 630pm, talks at 7pm! Most natural history museums house vast collections of specimens that are never seen by the public. Get a sneak peek at what goes on “behind the scenes” at our own Natural History museum and learn about why such collections are important for both scientists and artists. Sara is a research assistant in the Birds Division of the UofM Museum of Natural History, where she catalogs and prepares bird specimens for the research collection. She is also a graduate student at the University of Michigan School of Natural Resources and Environment where she studies environmental education and communication. When people hear the word origami, they typically think of flapping cranes and child’s crafts. They are often unfamiliar with the rich diversity of contemporary origami art, which ranges from the abstract and sculptural to the highly representational and mathematical. I’ll introduce the audience to the great variety of origami styles, discuss the processes and techniques I use to design my original models, and explore the endless possibilities that can arise simply through folding a single square sheet of paper without any cuts or glue. Beth Johnson is an origami artist from Ann Arbor, Michigan. She has been folding paper for many years, but only recently began designing her own models in 2010. Her work has been described as unique, fresh and original. In recognition of her designs, she was awarded the Florence Temko Award by OrigamiUSA in 2011, which honors a “lone folder” who has contributed to the art of origami in a meaningful way. 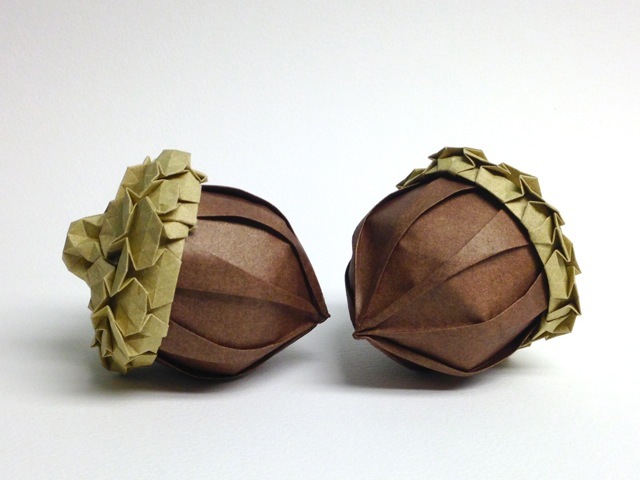 She has since gained a great deal of recognition for her work in a relatively short period of time, and is quickly establishing herself as a pre-eminent artist in the origami world. Her diagrams have been published in books and magazines around the world, she has exhibited in multiple exhibits across the United States and abroad, and she has participated as a special guest at three origami conventions in 2013. In the early to mid-20th century, composers of Western classical music were writing some seriously crazy stuff – I will play you some of it to prove it. In many cases, they were using brand new techniques to help with the writing of these pieces. Two schools of practice rose to prominence during this time. 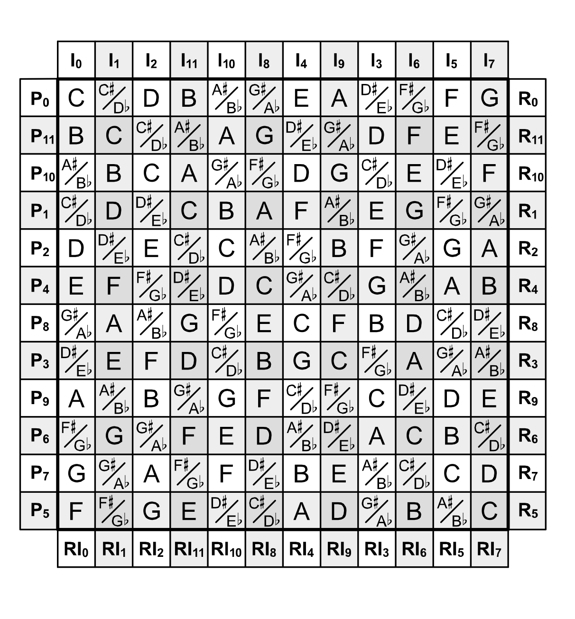 One was Serialism, whose practitioners created complex matrices to aid in the composition of their music in order to distance it from the traditional tonalities. The other was the Aleatoric or Indeterminate composers who relied on elements of chance to help compose and even perform their pieces. As is often the case with artist enclaves, they didn’t always have very high opinions of each other or their music; but they shared a desire to solve a common problem in two very different ways. What problem? Come and find out! I started out very interested in music. I taught myself to do it. Then I went to school for it. Then I got paid to do it. A while later I got interested in programming. I went to school for it. I taught myself to do it. Now I get paid to do it. I’ve always liked knowing stuff. Any old stuff. All the stuff.